Russia said Friday its security forces killed six militants in the volatile North Caucasus including an envoy from ISIS who had spent time in Syria and had been planning terrorist attacks. 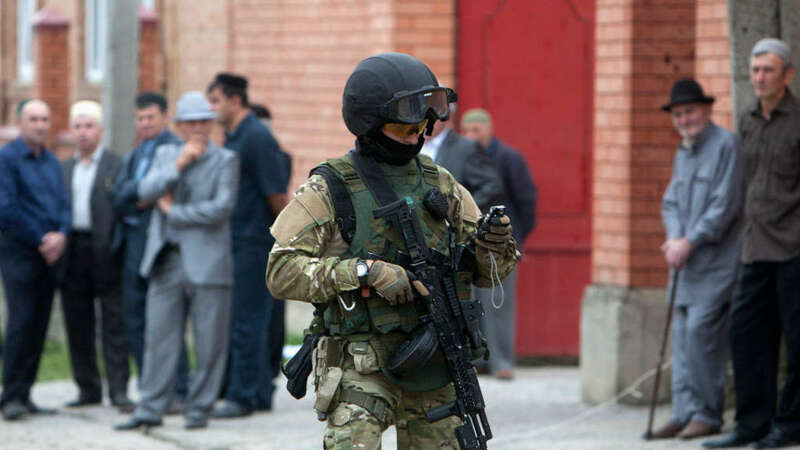 Special forces of the FSB security police “neutralized” four fighters in Nazran, the largest city in the Ingushetia region, the National Anti-Terrorism Committee (NAK) said in a statement quoted by Interfax news agency. The FSB officers persuaded them to free a child kept in a house, after which the rebels opened fire. Four militants were killed in the shoot-out. Another two militants were killed in a special operation conducted in the rural area of Gazi-Yurt outside Nazran, NAK said. The Russian North Caucasus is one of the major sources of foreign jihadists fighting in Syria and Iraq. Sautiyev is listed as wanted by the interior ministry of Ingushetia for “crimes of a terrorist nature.” The 23-year-old was born in the region and is registered as living there. The Russian authorities said they found two suicide belts at the scene in Nazran as well as semi-automatic machineguns, pistols and hand grenades.